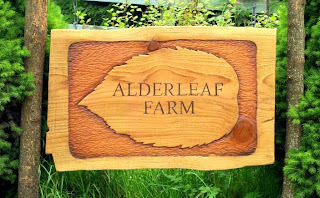 Notes from Alderleaf Wilderness College: New Sign at Alderleaf Farm! New Sign at Alderleaf Farm! 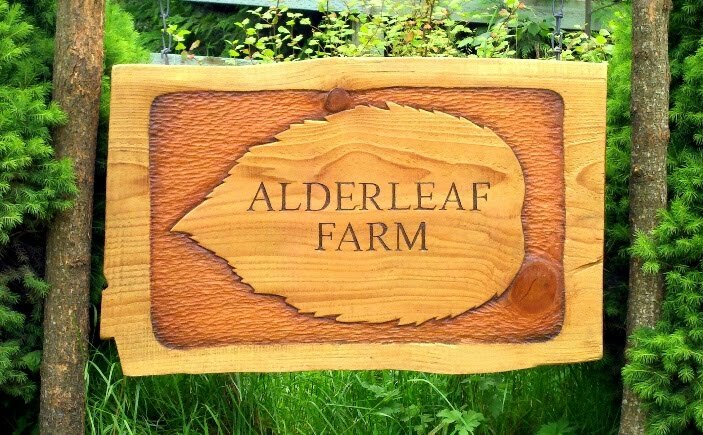 A huge, huge thank you to Georgie Lilgreen for creating this amazing sign for the entrance to Alderleaf! Its been receiving continuous compliments from all the staff, students, residents and visitors. Georgie is a tremendous artist and is skilled at many crafts. She recently graduated from the Wilderness Certification Program and we are very much looking forward to her involvement as an intern! Thanks Georgie! Awww you all are more than welcome! It brings me great joy that it is so well loved. It seems like such a small contribution after how much Alderleaf has given and enriched my life this past year. I, too, look forward to yet another exciting year of growth and amazing adventures!